A bus driver who thought he was in Fast and Furious…. 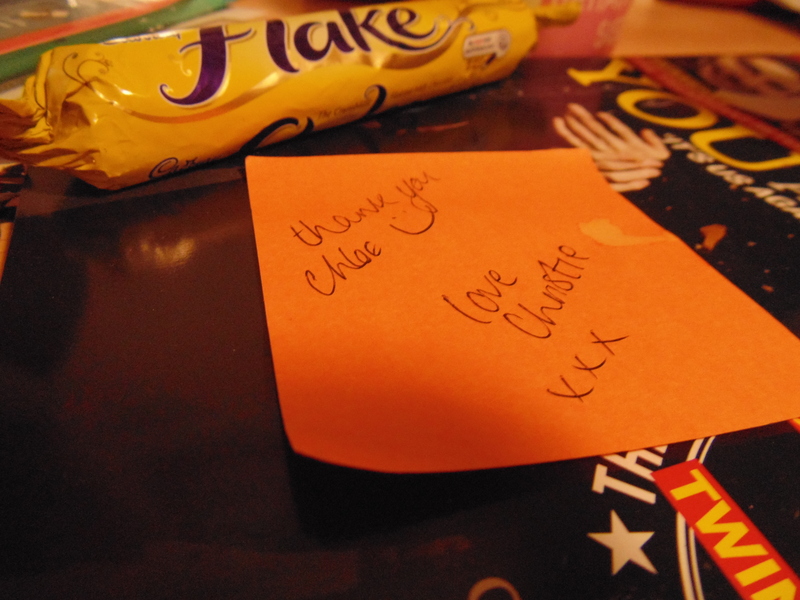 A lovely thank you note and gift from my flat-mate for taking out the rubbish! And although I don’t have a picture for it lovely conversation with my friend Gurdeep! As you can tell I haven’t gone out drinking this week (although the rest of my halls definitely have!) but I’m not really missing it, it’s fun sometimes but after going out every Wednesday and Friday for 2/3 weeks it gets a bit boring! Next week I’m hoping to see a film with the lovely Amy! Keep an eye out for some more ‘Amy moments’! The KU Talent Awards and me!